ELISA: Antibody detection limit dilution 1:32000. Western Blot: Approximately 17 kDa band observed in human Peripheral Blood Mononucleocyte lysates (calculated MW of 16.7 kDa according to NP_001614.3). Recommended concentration: 1-3 μg/mL. Additional bands of unknown identity were also consistently observed at 35 kDa and 110 kDa . These bands were successfully blocked by incubation with the immunizing peptide. 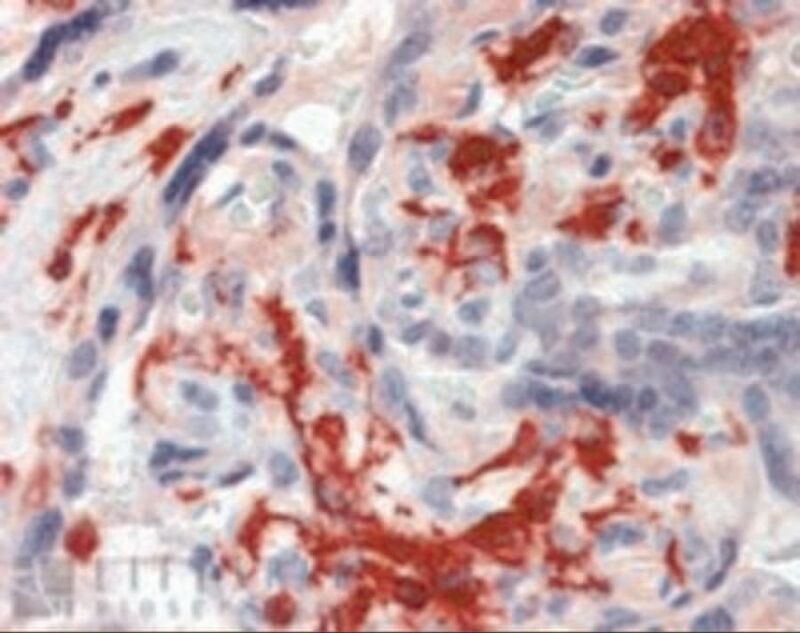 Immunohistochemistry: In paraffin embedded human placenta shows strong staining of extracellualr material (with both 45-220 and 45-221). Recommended concentration, 2-3 μg/mL. AIF1 antibody was purified from goat serum by ammonium sulphate precipitation followed by antigen affinity chromatography using the immunizing peptide. AIF1 antibody is supplied in Tris saline, 0.02% sodium azide, pH 7.3 with 0.5% BSA.